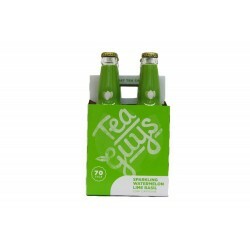 Case of 24 Sparkling Tea Bottles. 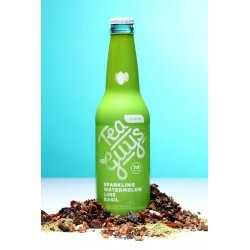 Sparkling teas are just the latest creation from our decades-long pursuit of the finest teas around the world. It’s a natural evolution from our hand-blended tea business that continues to grow organically to an ever-expanding community of tea lovers worldwide. 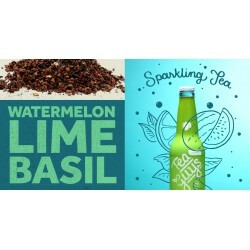 Tart limes, candy-sweet watermelon, and herbaceous basil dance in harmony on a stage of delicate green tea. 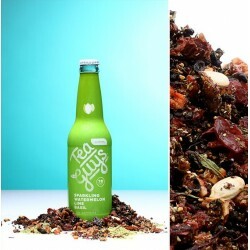 Its fresh taste is delightful, all day, every day. 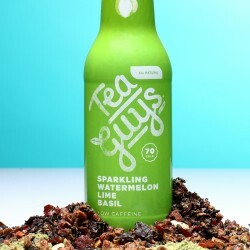 Ingredients: sparkling water, brewed whole leaf tea blend (apples, rosehips, green tea, hibiscus, pomegranate, lemon myrtle, lime zest, lime juice, watermelon, watermelon seeds, carrots, lemon zest, lemon juice, basil, matcha green tea, matcha hibiscus), cane sugar, citric acid, sea salt, flavors.